ActiveWords and SnagIt are two very convenient, powerful utilities for Windows users. If you don't want to shell out the bucks for them, there are some good freeware alternatives -- they don't give you the full power of the originals, but they do a decent job. ActiveWords ($50) is a fantastically convenient Windows program that lets you launch programs and documents by pressing a few letters (anywhere) then hitting F8. You can also insert frequently used text (like signatures) by pressing a few letters and hitting F8. Finally it contains a full-featured scripting language that lets you do things like script Outlook to send a message to Bob with "bob<F8>". I was seriously considering buying ActiveWords, but it unfortunately seems to conflict with some programs I have installed, causing them to freeze (until I closed AW) -- in particular, Yahoo Desktop Search and Outlook's Getting Things Done Add-In. Anyway, I found I could get much of the same functionality using Lifehacker's Run Dialog technique and AutoHotKey. 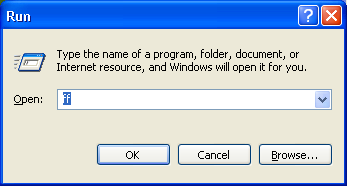 So I can now easily launch frequently used applications and documents by pressing Win+R to open the Run Dialog and typing in "ff" for Firefox, "add" for the Add/Remove Control Panel, "doc" for OpenOffice, etc. These are shortcuts in my C:\Run directory. Actually I even have a "run" shortcut to open the C:\Run directory itself, to easily add more shortcuts. AutoHotKey lets me insert frequently used text snippets in any application by typing a few letters then pressing tab. I've set it up so pers[tab] inserts my personal signature, nng[tab] inserts my work signature, date[tab] inserts the current date, web[tab] inserts my website, etc. So these two techniques will get you two key pieces of ActiveWords functionality. 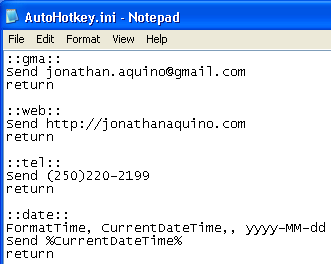 And AutoHotKey has a comprehensive scripting language, though I haven't played with it much other than inserting timestamps. SnagIt ($40) is a very convenient tool for capturing screenshots of a portion of a window, extracting text from an error dialog, capturing video to an .avi file, and adding pretty arrows and annotations to screenshots, all in one unified package. 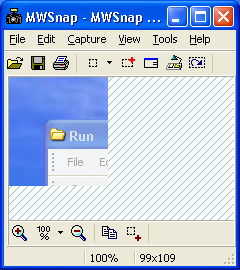 You can get pretty close with a couple of freeware tools -- MWSnap and CamStudio. 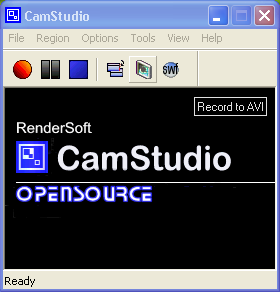 CamStudio. This gives you your video capture -- simply drag a rectangle on a screen and hit Record. It's so similar to SnagIt that I'm guessing it's an earlier version of the same thing. It also has something called Screen Annotations that lets you draw rectangles and balloons directly on the screen -- you can also use these with MWSnap to annotate your screenshots (solving the problem I mentioned above). Admittedly these shapes and annotations don't look nearly as pretty as SnagIt's, but they do the job. posted by Jonathan at 2/05/2006 01:33:00 p.m.
Actually there is a freeware tool called CopyText that can be used to extract text from dialog windows. By Jonathan, at 2/05/2006 9:50 p.m.
You can use ctrl-c to copy text from a simple dialogue. By Anonymous, at 2/05/2006 10:53 p.m. Create a shortcut and put it on the desktop. Give it a hotkey. In most cases then you are able to press ctrl-alt-[button] to start that shortcut. Note that the windows button doesn't work - it has to be ctrl-alt. By Anonymous, at 2/05/2006 10:58 p.m. Right click on the ActiveWords monitor, go to options, go to confirmation options, and then enable the spacebar/spacebar box at the top 1/3 of screen. This way you don't have to reach for the F8 key, and can just use the space bar to trigger ActiveWords. Also, I think the culprit is not us but the GTD add-in. Disable it, and see if the problems don't go away. By Buzzmodo, at 2/05/2006 11:41 p.m.
For screen captures, I found it's much easier to do Alt+Prt Sc, open an image editor and paste it in. You can also capture a window with Alt+Shift+Prt Sc. By assaf, at 2/06/2006 8:21 p.m.
Buzz - Thanks for stopping by! AW is fantastic - I've already shelled out for the GTD add-in (and it has significantly improved the quality of my life), and it's a shame I can't use both at once. Assaf - I'll have a look at Colibri! Thanks for the pointer! By Jonathan, at 2/06/2006 9:58 p.m.
Actually there's a nice SnagIt clone called Screenshot Captor that has good simple arrows and annotations (with shadows :-). Takes a bit of effort to set it up just right - email me for hints. By Jonathan, at 2/19/2006 9:44 a.m.
Theres a whole host of screen capture freeware on the net. Some good some bad (as always). Mind you the shareware ones aren't that expensive, try this link..
By Anonymous, at 3/24/2007 6:19 a.m. Thanks Jon for the tips re the c:\run dialogue. But if you're using AutoHotkey already, there's a method to use that for quick-starting applications. By mickleberry, at 9/29/2008 6:27 p.m.
Also I'm a big SlickRun fan now - I find it better than the Run dialog. Still using AHK and quite like it. By Jonathan, at 9/29/2008 7:17 p.m.